6 fluid oz volume, holds about 4-5 ounces of wax. 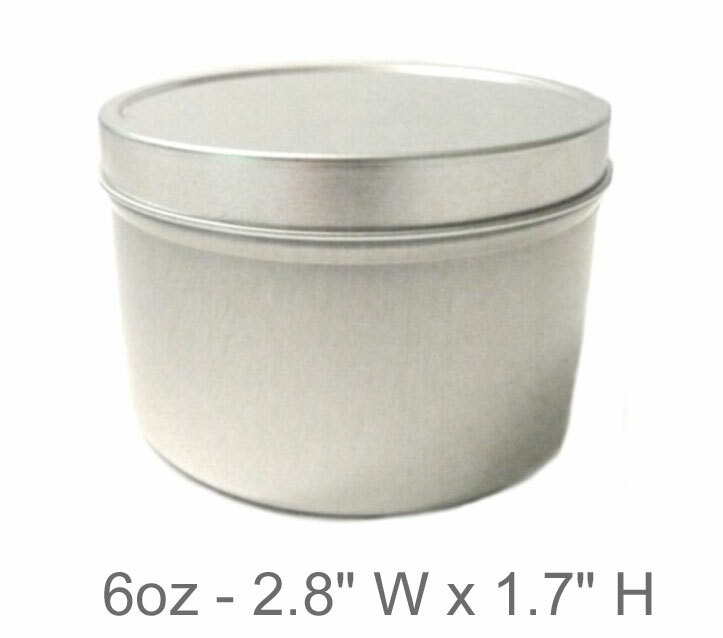 ​Each candle tin is made of aluminum and seamless. Each tin is approximately 1.7" tall and 2.8" wide.